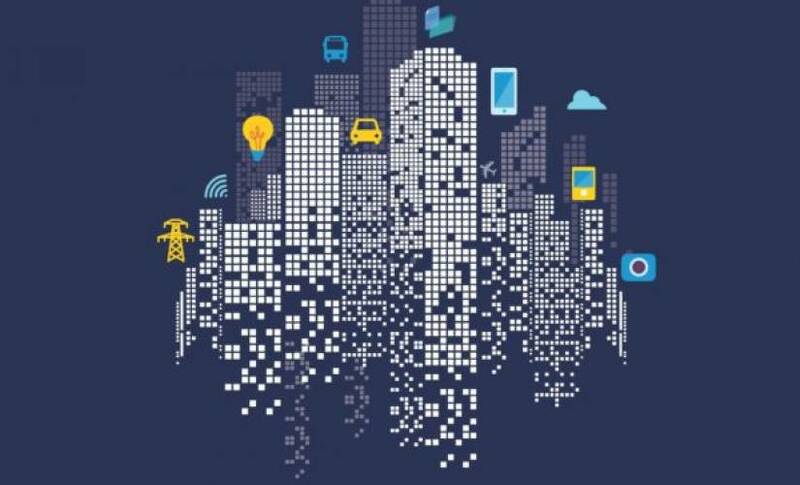 What are the 4 layers of data "architecture" needed for smart cities? 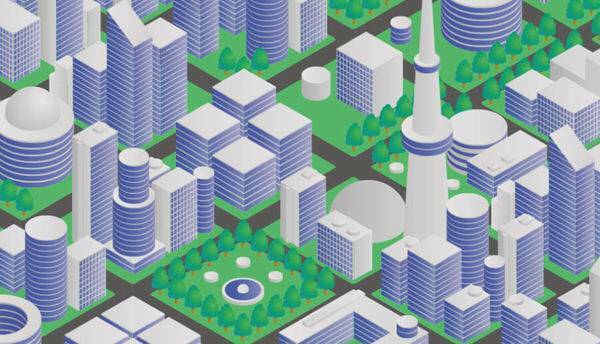 What are the 4 layers of data “architecture” needed for smart cities? Smart city services like smart water management, smart energy, smart mobility and smart buildings are based on a centralized system. A web of sensors that are spread across the city feed data to this centralized system or central control center by sensing activities in the physical environment. At the control center the data is processed and stored as meaningful information. This information is shared across various departments of the city government for better coordination and making data-driven decisions. This sounds pretty easy to implement, doesn’t it? But practically it is not easy. Why? Integrating various devices with different technologies with the existing communication infrastructure is one of the biggest challenges in developing a sustainable and efficient smart city. The Information and Communication Technology (ICT) architecture of a smart city has 4 layers: sensing, communication, data, and service. Constrained node: These nodes operate in a low-power environment. They have low processing power and a low data-transfer rate. A node can act as both constrained or unconstrained depending on the operational environment and conditions. For example, a proximity sensor node in a small office parking complex may be constrained, while the same proximity sensor node in big parking complexes can be unconstrained. IoT nodes with the help of sensors, sense the activities in the environment around them and send data to data centers in the data layer. In this data-exchange process, unconstrained nodes send data in an eXtensible Markup Language (XML) format. However, this format is not compatible with constrained nodes, because the overhead in describing the transferred data makes it too long to parse. Additionally, the textual nature of an XML representation makes parsing difficult for CPU-limited nodes. Schema less encoding: Data is encoded directly from the XML data and then decoded by any EXI processor without any prior knowledge about the data. Schema-informed encoding: Before the encoding or decoding process begins the XML schema is shared between 2 EXI processors. This shared schema allows EXI processor to assign numeric identifiers to the XML tags and build EXI grammar upon such coding. Every smart city system has a billion IoT nodes that are spread across the city. These IoT nodes should be addressed individually. This is made possible with IPv6, which provides a128-bit address field. However, the overheads that are introduced by IPv6 (in addressing the IoT nodes) are not compatible with constrained devices, and therefore 6LoWPAN (Low Power personal Area Network) was adopted. For seamless translation from IPv6 to 6LoWPAN and vice versa, a bridge router is attached to the 6LoWPAN network. An IPv6 packet that is intended for a node in 6LoWPAN gets converted into 6LoWPAN with the help of a bridge router and vice versa. As a large number of IoT nodes are spread across a city, the setup requires a robust communication technology that covers a wide geographical area and can handle a huge amount of data traffic. But a single communication technology is not compatible with both constrained and unconstrained nodes. For the unconstrained IoT nodes we use the traditional LAN, MAN, and WAN communication technologies such as WiFi, optic fiber, ethernet, broadband powerline communication, and mobile communication technologies like UMTS and LTE. These communication technologies have a higher reliability, high transfer rate, and low latency. Predictive models: This model is a type of data-mining technology. It works by analyzing both past and current data and helps in predicting the future. Descriptive models: This model describes the relationship between real-world events and the factors that are responsible for them. Decision models: This model predicts the outcome of a decision by establishing the relationship between elements of the decision and predicted results. These predictions help the city government to take proactive and data-driven decisions. This layer also includes Enterprise Resource Planning (ERP) systems that control the flow of data across different organizations under the city government. This layer acts as a cross-department operation center. Various city boards such as, water-supply board, power-supply board, pollution-control board, transport department etc.. share information by using web portals/mobile applications that are built on this layer. This layer will not just serve government departments by sharing information but also the general public that has access to a subset of all the data. By using this data the public can build services to enhance the operations of the city. Many cities that are trying to overcome everyday problems and sustain themselves have found perfect solutions by embracing technology. Smart city projects in Barcelona, Tel Aviv, Amsterdam, Seoul, and Stockholm are some success stories.